Use these Valve Box Extensions when your system is buried a little deeper. 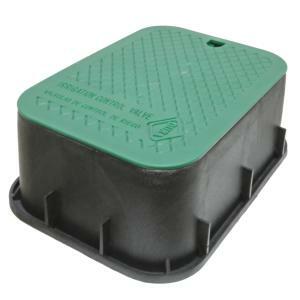 Use the 6" valve box extension with a 12" deep box for a total depth of 18". These durable boxes and lids are made of High Density Polyethylene (HDPE) for strength and good chemical resistance. All Dura Valve Box products carry a SCTE Static Vertical Load Rating of "Light Duty Pedestrian" and are not rated for vehicle traffic. Dura products are proudly made in the USA.